There is much to admire in both Bilic the man and Bilic the manager and yet one thing seems to consistently stand out as a weakness, his choice and timing of substitutions. The Premier League today is a 14 man game. Where once a subs bench was more of an array of second choice players, awaiting on an injury to a first eleven star for their chance, the modern game dictates the need to change a game with tactical substitutions. A managers ability to read a game, react to on field events and turn a game on its head is what separates the great coaches from the good or average. 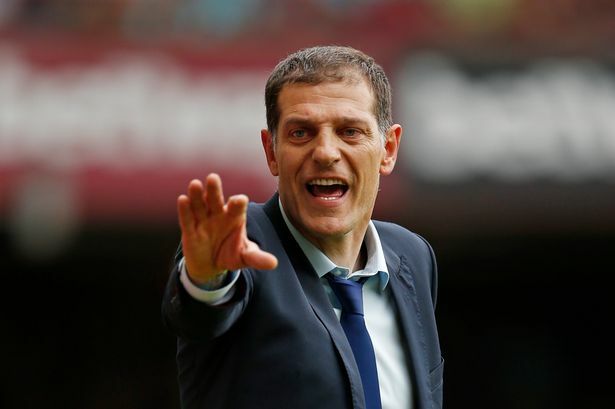 Sadly, on the evidence of this season, Bilic would seem to fall into the later category. Our performances of last season, where we seemed adept at clawing a game back having gone a goal behind have been sharply exposed this term. Whilst it is true to say that we are suffering due to our mis-firing strike force, our cause does not seem to be advanced by Bilic’s lack of desire to react or his choice of replacements. This was never more evident than in the recent defeat to Spurs when, having taken Payet off, our opponents found their freedom and went on steal all three points. Whilst Payet may not have been enjoying his most eloquent of performances, he gave Spurs something to think about and be wary off. Once that threat was removed, our opponents focused more on their own game plan rather than nullifying ours and that cost us the game and three invaluable points. The introduction of Nordveit rather than Collins was also questionable at best. Whilst no fan of Big Sam, this would not have been a change he would have made and he would surely have opted for the experienced and proven defender. We can cite our injury list of this season as one of the reasons for our disjointed performances but we do seem to be trying to fit round pegs into square holes. Players played out of position rarely perform to their best, as we all saw to our cost with the ill fated Antonio experiment. It feels very much as though Bilic has yet to find his preferred eleven and more importantly their most effective positions. This is a huge concern a third of the way into his second season at the Club. He has stumbled across the ‘back five’ which, whilst it has improved upon our early season performances, still doesn’t seem to be a natural fit for our tactics or our players. When will “old skool West ham” people stop going on about bringing in Collins? He is muck. If you think he would have done better than nordveit then you obviously didn’t see him get skinned by berbatov years ago. He is useless against quick feet. Not to say nordveit isn’t rubbish too but Collins shoukd.humans be nowhere near the team. Big mistake keeping him in favour of tomato- who could’ve filled in at RB this season. We all have varying opinions but to say Collins is muck is just a stupid comment.